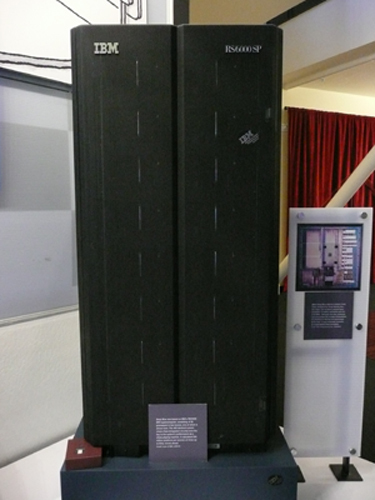 Just over 19 years ago, a milestone in the world of AI was achieved when IBM’s supercomputer Deep Blue defeated Garry Kasparov. Until then, he was the undefeated world Chess champion – probably the greatest human player of all time. This was a momentous event in AI’s brief history. Computer chess programs had been playing good chess since the 1970’s, and had improved to the point where their level of play would beat the vast majority of the population. I myself recall buying a chess program in the early 1980’s which offered 6 levels of play from beginner to advanced. Even then, I had difficulty beating the machine above level 3. By the time Kasparov played Deep Blue, the quality of chess playing software was improving rapidly. But the step up to beating a grand master was viewed by most pundits – including Kasparov himself – as very unlikely. The match took place in New York in May 1997 and involved the best of six games. 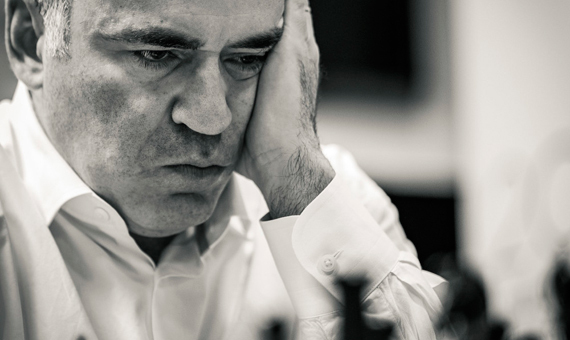 Kasparov won the first game but was unexpectedly defeated in the second game. Kasparov was clearly rattled by this defeat and, during a press conference the following day, he accused Deep Blue of cheating. He rationised this by claiming it displayed unpredictable behaviour which he thought had been due to tampering during the game by the IBM programming team. The rules stipulated that the programmers could alter the program between games but not during a game. The IBM team caught Kasparov off-guard because he believed that computer chess programs, although exessively fast and computationally flawless, would not claim the scalp of a grand master because of their predictable perfunctory behaviour. After Kasparov defeated Deep Blue in the first game, the IBM team generated more randomised unpredicatability into the software. It worked, and Deep Blue went on to win the match. Up until this defeat Kasparov had been, with some justification, quite derisory about the limits of machine intelligence. For Deep Blue essentially used AI techniques which at that time involved “brute force” searching to win at chess. Brute force searching was a commonly used paradigm in the early days of AI that would attempt to suceed by overwhelming opponents with computer power by searching rapidly through millions of combinations of moves – in the case of Deep Blue, more than 200 million possible moves were analysed per second. The search space (i.e., the possible moves) would usually be reduced with the use of pruning methods. This would be important because, in chess tournaments, players are normally limited to a time of three minutes per move. However, no human being could ever get anywhere near analysing 200 million possible moves in a lifetime, let alone a second. But that did not matter to Kasparov at the time, because he believed that human intelligence and years of experience empowered him with intuitive insights that were such that he did not need to analyse. Indeed, when he was once asked how many moves he analyses per second, he declared: ” less than one”. This means that the battle lines were broadly drawn, at that time, between the superior computational power and accuracy of the dumb machine and the creative, insightful genius, of the human grand master. But 19 years on, the AI world has changed considerably. Today, as Kasparov himself admits: “A decent laptop running a free chess program would crush Deep Blue and any human grandmaster. The jump from chess machines being predictable and weak to terrifyingly strong took just a dozen years”. Kasparov appears to have become a convert and now recognes the insights and discoveries computer chess have made of benefit to human chess players. Why is he now saying this? Because computer hardware continues relentlessly to get faster but also AI programs no longer rely on brute force search algorithms as they did in the early days of AI. Nowadays, the AI in language translation programs or driverless cars and advanced chess programs use techniques – such as genetic algorithms and neural networks – that are more akin to the way in which human intelligence works. What these techniques offer that previous techniques did not is both the ability to carry out pattern matching better mimicking human thinking, and also the ability to learn. Good human chess players, like experts in other subject domains, use pattern recognition skills built from experience, and AI techniques are now becoming good at pattern matching – something which was thought unlikely by many until fairly recently. Learning techniques can improve the chess playing software and take it to new levels. It is said that one of the key milestones in human evolution was the time, estimated to be about 1 million years ago, when our primate ancestors learned by observing others at work. It took billions of years of biological evolution to reach that point. Yet, many now believe that AI programs will achieve the same level of learning capabilities as humans in the next few decades. This is truly astonishing and begs the question where is AI taking us? I will discuss this further in the next article.